Do everything in your power to get your self out of it! Don’t just sit there and remain stuck… don’t listen to other people putting doubt in your mind. If you believe you can do something, keep telling yourself that it is possible. The only way to get to your end goal is by pushing yourself through the hardship, the doubt and the fear of failure. The only way anyone else can stop you to getting where you want to be is by letting them influence your thoughts. Any time someone puts doubt in your mind, give yourself a reason why it is possible. Use your resources and support systems to help you figure out the best way to reach your goal and always remember that believing in yourself is the very thing that will help you succeed. The Beautiful Life…in Italian. It’s a beautiful saying with a beautiful meaning. People always use quote this saying, but do people really live by it? So many times someone settles in to another life or another situation that was not what they initially wanted…it wasn’t their dream. Why is it that people don’t chase their dreams more often? I know the day to day grind can get in the way of things… But in my opinion going out & chasing down your dreams won’t leave you dreaming anymore. You’ll feel as if you’ve done all you could and either you got there or you didn’t, but at least you tried! You never know where you will land along the way, maybe it will lead you to your new dream, a true love, a family, an inspiring situation or person. What ever your “dream path” leads you to its sure to leave you feeling as though you didn’t just “settle”. So what are you waiting for…. Go out there and go for your dreams… Don’t let anyone tell you you can’t! What makes a writer…a writer?? I’ve been having a bad case of writer’s block lately, and this question recently came to mind. I’ve thought about this before, but never addressed it. So, since I’m in a slump and haven’t been writing…I figured I would take this question and roll with it. Maybe this will help me break the silence and start writing regularly again! Nowadays, everyone is a writer. There are blogs, freelance writing opportunities, and almost anyone can write a book….even cheesy reality celebrities. I found this to be frustrating at times because in my eyes, it’s not fair to call yourself a writer or “best selling author” simply because you told someone your story and they wrote it for you…aka, having a ghost writer. In my opinion, a true writer forms their own ideas or has an idea pitched to them and they write the words themselves. You take the time to truly decide what words flow together and ultimately put together a story that you think readers will enjoy. In the age of the internet, with blog sites every where, people can express their thoughts and opinions as freely as they would like. As long as their writing their own blog, they’ve become a writer. This is fine, and almost encouraging that so many people have decided to share their knowledge and interests with people of the “internet world”. So while all this may be good & true… does this take away from the writing craft?? Now that every one is a writer in their own “right”, is it taken for granted?? Writing has been and always will be an art form. A true writer can paint a picture with words and capture the attention of any reader. It used to be that writing a book was a huge accomplishment that a writer worked very hard toward and ultimately was coined an author or novelist. With the use of the internet, most people can self-publish a book they think worthy of selling to the world or as mentioned above, a “reality TV celebrity” can hire someone to listen to them talk and become an author. While it is nice to know writing as become such a beloved past time, I think that, unfortunately, the ease of being able to get a book published these days has taken something away from the art of it all. Growing up comes with a lot of different challenges. One of which being once you’re out of college and it’s time to learn how to juggle your new career, family time, relationships, friendships, having a social life, and still sneaking in the “me” time you should have every now and then. Through these changes you may find that some relationships will drift and others will be tested…all the while having some never change. This is one of the hardest things to cope with because growing up, friends are such a major part of your life that you almost can’t picture it without them. You try new styles together, share your deepest secrets and dreams together and you support each other through it all. These are the people you talk to when you don’t know how to handle your parents or siblings, when you have relationship problems with your boyfriend or girlfriend, and the people that never judge you because they love you faults and all. So when you start to run in to a little thing called adult “life”, you find yourself reminiscing on how things used to be. When your friends were just a short distance away and you could count on them for anything. It’s then that you start to realize what friendships will stay and what friendships will go. It’s a sad process to go through to feel like you might lose a friend that has been such a major part of your life for so many years. So how do you deal with this? First, there’s a few things you have to think of. Is this person still a positive person to have in your life? Are they still uplifting and supportive? If not, you might have to reevaluate the friendship and if it’s even healthy to still be connected to this person. You also have to think about whether or not this person is trying to keep the friendship alive…do you both want to keep the relationship going? You see… most people maintain their family relationships due to just that…being family & you love them and everyone wants to take care of their personal romantic relationships because you love the person. So why not take care of your friendships? The people need attention and support just like your other relationships. When you run in to a time where you might have that first fall out because of all the changes going on, don’t jump right in and start fighting with your friend. Sit back and think about what’s going on first. Decide between the two descriptions we talked about above & move forward from there. Consult a family member or your significant other if you feel you need extra support. Once you feel ready to confront your friend, do it in a neutral environment. If you can meet, make sure you are both ready and willing to talk things through. If you don’t have the ability to meet face to face, write out an email first. Yes…we’re back to writing things out again! This will give you the opportunity to clearly state your point of view without interruptions. This will also allow your friend to respond the way they need to. Once you both have received the emails, make a time to talk on the phone or meet face to face. This will be the next step in the process of mending the relationship. You both need to understand where the other one is coming from and realize that although things may be different, you still want to have that friendship you’ve cherished for so long. Another part in the process of growing up and accepting change..is accepting your friends new life. As you get older, you start to form your own family and your own life in general and that may be different from that of you friends. This is OK… you do not need to be on the exact same path as each other. Let your friend know you support him/her and that you want nothing but the best for them. This is important because you want to let your friends know you are still there for them no matter what… even if you’re not living the same life or even living in the same city. Another thing that is KEY is keeping the relationship alive is making sure you BOTH contact each other on a regular basis. People get busy and consumed in their own lives and one person is always expecting the other to call or email and then it ends up that no one does. Don’t always wait to hear from your friend…call or email them first. Text just to say hi, I was thinking about you! Something as simple as that will let your friend know that you’re still there. Nothing is worse than losing a good friend, and as we all know good friends are hard to come by just as most good things are in life. So cherish the times you have with the ones you love and treat all your relationships with as much importance as you would want someone to treat you. One of the things I’ve come to love most about life is the lessons I learn along the way. Most of them are usually hard lessons to learn….because let’s face it, usually the right decision or path in life is not always the easiest. However, every time I was faced with a decision, although it may have been hard… it always ended up being worth it. That being said…life lessons are something that are important and you should hold dear to you because you never know when someone will need a bit of advice from you that relates to their life. That being said, a recent life lesson I’ve learned is ‘Acceptance’. This may seem like a “common sense” type of lesson, but in reality it’s something that people can easily take for granted. With your friends and family comes a lot of different personalities and characteristics. This also pertains to your work environment. When these different personalities collide, it can be hard to get along or understand why someone is the way they are. People tend to compare other people to themselves. That’s why…if someone is different than you, you may think they’re “weird” or “annoying”. This is common for young people to do because they haven’t quite learned how to accept someone for who they are. Just because someone is different than you doesn’t mean that they are “abnormal”, it just means they are their own, individual person. Learning to accept who someone is can come in to full affect when you live with someone. Sharing a living space means everyone is in close quarters, and this can get overwhelming at times. Although the people living together may have differences, there are still ways to learn to live with them. If something bothers you that the person does, let them know that it bothers you and tell them a way they can help fix it. Let them know that you are open to hearing feedback from them as well. Don’t have this conversation when you are angry or frustrated because it may come off as disrespectful or rude. Chances are, if you’re living with this person, you care about them, so you don’t want to taint the relationship by saying something that could hurt their feelings. Even if you have just recently met the person (like a new roommate in college), you don’t want to start off on the wrong foot or live with frustration because you two don’t get along. In a tribute to my love for shoes…let’s take a walk down memory lane! I’m sure at some point in your life you had a pair of shoes you LOVED to wear. You wanted to wear them everywhere and you wore them until the soles were no longer existent. When I was talking with my sister yesterday she told me that she found jelly shoes at the store & bought my niece a pink pair that light up on the bottom when she walks. I thought to myself, “Wow, that’s an improvement from the jelly shoes we had as kids”. Apparently she has found he new favorite shoe. My sister told me she wants to wear them everywhere declaring “I love my new shoes Mommy”. How adorable 🙂 It makes me reminisce on different shoes I had throughout the years and whether or not they are best to stay buried in the past. Verdict: These can stay in the past…or at least leave it to the little ones! Converse shoes never really “went away”, they’re still popular today and even have clothes and accessories in addition to shoes. However, when I was in middle school, they came out with limited edition Looney Tunes designs. Every one had a pair whether it was Tweety Bird, Taz, Sylvester or the whole gang. The shoes came with different colored backgrounds with one or two of the characters on the side. There was one style that was multi-colored with all the characters on the shoes. These were a favorite of mine! Verdict: Leave in the past, but with fond memories! Back when I was in junior high, everyone was wearing Adidas gym shoes. Not only did I have a pair, but I had a pair of suede Adidas gym shoes. Oh yes, we’re talking fashion here people. 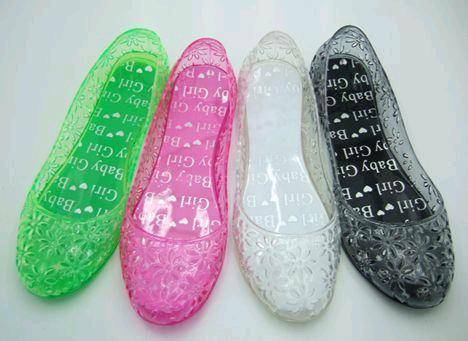 Although these may not be the most “stylish” for a girl to wear these days, they were very popular when I was younger. Not only were they the “cool” shoe to have, but they were comfortable and durable. They’re good quality shoes & usually reasonably priced. Adidas is a brand that will never go out of style. Although the style may change for people…Adidas will always be around with shoes, clothes, sports gear, any much more! OK… so these were popular in the 90’s and early 2000’s. I owned quite a few pairs and have to say that at the time…I loved these shoes. I loved the convenience of slipping them on and have them sort of dress an outfit up, but still keep it casual if you didn’t want to be too dressy. I had clogs in all different colors & wore them all the time. I have to say…this is one trend I don’t think I’ll be going back to. Now a days I stick with a basic heel or sandal heel for work & rock anything from cute summer sandals, heels, or boots outside of work. I wear gym shoes on occasion, but prefer to leave those to working out. As always, remember to find a bargain when shopping when shoes or any other piece of clothing or accessory. There’s no need to spend a ton of money on a shoe just for the “name” if you can find the same one for a cheaper price.